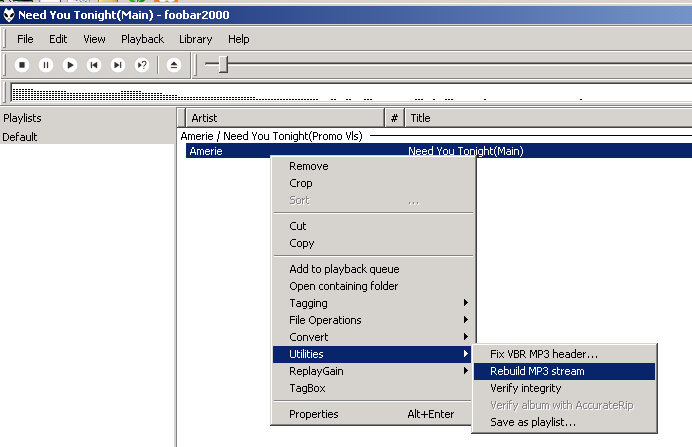 Many old mp3 files (< 2004) had only 2 tags: lyrics and id3v1. If it has id3v2, just remove it. You can use Mp3tag for this. If the CRC doesn't match already, check whether the lyrics tag has Title, Album or Artist set. If so, add a space character at the end of the id3v1 of Title, Album or Artist. Even if there is no lyrics tag, just add a space to Album. Very often some retaggers made spaces after the comment in the id3v1 tag and Mp3tag deleted this. Try to delete the track number, because many releases have no track number. check the other files if it is used. Winamp adds a newly created tag at the beginning and editing COMM will place it at the beginning. Recreate the tags in reverse to have the right order. Problem is that it uses UTF-16 instead of ISO standard encoding. 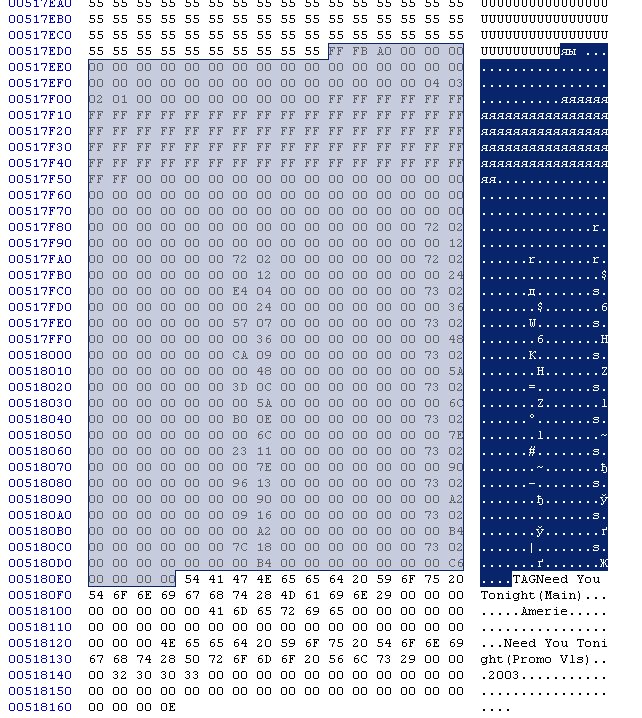 Some iTunes program adds to the end of the id3v2 the following string: COMM…h…engiTunNORM. 00000D40 00000C56 00006799 0000731D 0000B8DA 0005BD63 00008000 00008000 00005414 00009F17…. Replace all by x00. It can't be read by another tagger. These issues were found on releases that all came from the same source. There is an application that cuts off 22 bytes from previous tags or music when adding the MLLT tag. In many cases it's lame endings like uuuuuuuuuuuuuuuuulame3.90uuuuuuuuuuuuuuuuuuuu or a cut off Lyrics tag, but when it's music, there is nothing you can do to revert the process. Select the first file, and do Effect Invert. If you end up with Nothing, Just a 0.0 line, the two files have cancelled themselves out, indicating that both files indeed had the exact same data.